The Moon plays a very significant role in the lives of all people around the globe. The peculiarity of this sign is quite obvious, inasmuch as it changes every two days and consequently, it is the quickest sign among others. This sign makes its journey through all signs and mainly reveals our emotional state and mood. We only win, when collaborating with this "planet", for it produces additional energy levels for us. Accordingly, our inner feelings and moods improve and we become more effectual. It is recommended to give more heed to the Moon, when it is in the same sign as your Sun, because these very days are the days of your greatest power. During these days, other folks will be more open and predisposed for cooperation with you and you will live through a tremendous upheaval of energy and confidence. Consequently, you can smartly use these very days, if you plan something really important. Commonly, you will enjoy great success and outstanding profits in your doings. See not to waste your chance! On the other hand, if the Moon is opposite to your Sun, it is advised to keep all necessary doings back, for you may lose. (In occasion, you're not confident which sign is opposite, you can easily figure that out, counting six months away from your month of birth). Try not to be pushy and let the things go quietly as they should go. For the first sign, the Moon promises enormous heaps of energy. So, get prepared for a lot of movement and great actions. You can do whatever you wish that involves physical activity. You will surely mange everything. Put to use your creativity and original thoughts. This is a high time to bring all of your imaginative ideas to life. Don't be afraid of risks, for they are worth undertaking! This is time to sustain your health conditions. You should delve into the world of your senses and physical experience. Get in touch with earth! Work in garden or walk through the woods and parks. Try to relax and find the connection with nature. This is your golden opportunity to have a proper rest and renew your strengths. This is an airy sign of the Messenger and so, you ought to use the advantages and get even more social than you are. Summon all of your friends and do something active and creative together. The time is very fruitful for all sorts of activity. You may go travelling to other places, teach the others and learn something for yourself. Free your curious mind and enjoy success. The Moon is the native sign of Cancer and this means that you should give even more heed to domestic matters. For instance, you can spend these days in a company of a good book, or undertaking your favorite hobby. This is your chance to delve deeper into your inner world and examine your emotions and wishes. Take into account your family and dear friends. They will make these days ever brighter. Enjoy the energy upheaval at full! This is a show time for amazing celebrations and all sort of entertainment. This time, you don't have to follow the thoroughly thought through plans and can jump into the world of spontaneity. Passion and romanticism will take the lead this time. Therefore, take advantage of these days and spend time with uttermost pleasure and in the most extraordinary ways. Release your creativity! It's high time to prepare everything in the way you want! You have a nice opportunity to organize your life, every single thing in it, precisely like you wish. Though others will find all these routine duties boring, the most serving sign out of all - Virgo, will find great delight in them. You are capable to cope with everything! In addition, be attentive with overly huge criticism from other folks. During these power ups, you will give much heed to the things of disharmony. This time will require from you creative decisions on how you can balance all the happenings in your personal life, as well as in your social activity. Pay more attention to romantic matters, the things of beauty and the arts. It would also be good to alter something in your appearances. Use your creative side at full! As Scorpio-born identities prefer everything spiritual, mystical and magical, you should use these days at full. This is really time for magic. Different thoughts will dash through your mind and you will deal with both visible and invisible worlds. It is recommended to part your inner feelings with others. 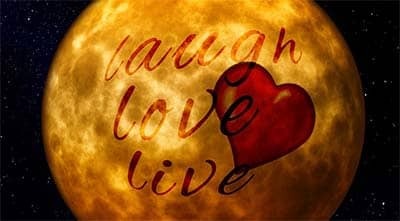 Nevertheless, spend your time only with trustworthy and very close people to emphasize all the feelings. It is a well-known fact that all Archers are utterly adventurous and within these days, you will be greatly predisposed for various expeditions and travels. In occasion, you won't be capable to go on a physical trip, try to do that spiritually. Your inner desires will be crying to do different things and you don't have to oppose, but should go with the stream. See only not to overwork and you'll be fine. Advance in all directions you feel you have to. 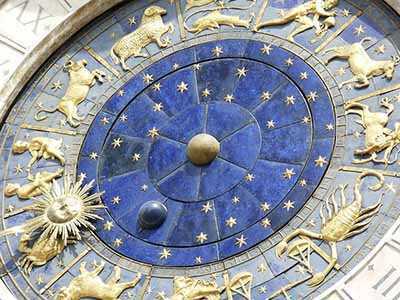 For the most workaholic sign out of Zodiacal wheel, these power ups will give additional chance to improve all the undertakings and bring to life the most important life projects you have. Act persistently and practically and afterwards, you will reach your aims. You will receive great amounts of energy and productivity and if not losing the focus, you will succeed wherever you wish. Aquarius-born identities are known for their active social way of life and these days are the excellent opportunity of enjoying even greater success. Your creativity will hardly meet any boundaries and you intuitive thinking will improve as well. Make use out of this. This time will be calling for alterations, which will bring you to new level of life, when you'll be utterly happy. See not to miss the chance. For sensual Pisces, it is the best time for their favorite doing - retreat. Nevertheless, these retreats are vital for them, as they can sufficiently recharge and come back with great amounts of energy and creativity. Into the bargain, their fantasies will reach another quality level and they will enjoy success in the arts and all cultural affairs. Open your imagination! The moon signs are the representatives of inclinations and great potency that are within our nature. 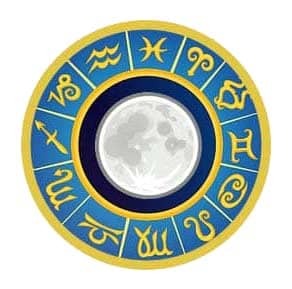 When talking about the sign compatibility, one should obligatory mention Moon signs, for they are of great importance. They involve the matters of feelings, emotions, intuition, personal relationships and our interaction with other individualities.